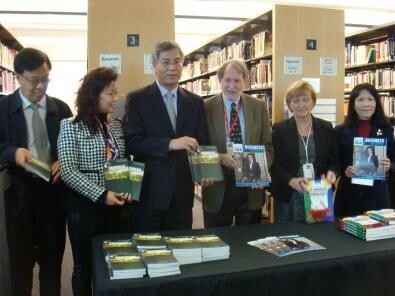 The U.S. Zhejiang Chamber of Commerce of America (ZCCA) and Flushing Queens Library held a press conference on the afternoon of Nov. 13th. ZCCA presented Business Owner’s Manual to Queens Library. The person in charge in Queens Library and the curator of the Flushing Library Donna Clampa-Lauria gave thanks to ZCCA. Also, many small business enterprisers believe this book would help. The other 40 handbooks were sent to other public libraries in Queens. The development commissioner Liman Guo also presented 10 of her Tips for Writing Resume and Interview to libraries in order to help more people.